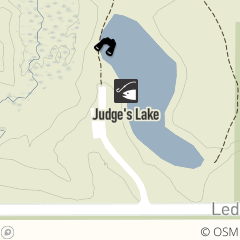 Judge’s Lake is stocked with trout in the winter and channel catfish in the summer for fishing. The lake and surrounding areas are a good location to view beaver activity. Near the lake there is access to the bridle and Buckeye trails. Hike the Judge's Lake and Taki areas of Hinckley Reservation.